like (or dislike) a car. Not many people keep them for long enough to be worry that the colors get outdated. Custom paint and wraps could be awesome and not ghetto. I also would love to see more chrome. I saw a pic with of a guy who polished a F150. I remember forest green being so popular in the 90’s in GM products. I had a '97 Chevy K-1500 in Emerald Green with the deluxe silver two-tone stripe as my first truck. I've been looking for one in the same color to add to my collection. I've been unsuccessful so far. When Japan had that tsunami certain colors were not available. If I look around dealer inventories it seems the white cars are often the cheapest along with the oddball colors (like olive green or orange) while black seems to come at a premium. I personally don't care too much about the color as long as it's not something outlandish and hideous, but I actually would hesitate to buy a white car. White cars always seem to look dirty if you live in any sort of a wet climate. Most people are moles and want to 'blend in'. Yep. They dont wan to stand out, and as a result, these are most of the colors that the manufacturers make without custom orders. Black white and grey. I also do the road test of watching the car colors and it saddens me to see the majority of the cars the same colors. The percentage I dont know is how many cars were bought used, and if the people chose those used colors or not. I bought my last 3 out of 4 cars in haste, 3 out of 4 of them were new but I didnt want to wait 8 weeks for the color I wanted. I guess thats what happens with many people. And I went right around the boring loop of colors. White Civic, black charger, silver charger, white charger. Had a shot to get a brand new Hemi Orange charger at the same price as the car I bought used, but I cant stand hemi orange. This will be my next car. There is B5 blue and F8 Green, but Octane red will be the one Im shopping for. Not bad for a 3.5 year old car with almost 50,000 miles. Last edited by k7baixo; 11-04-2018 at 08:20 PM.. If it’s not the color that’s boring, it’s the car. 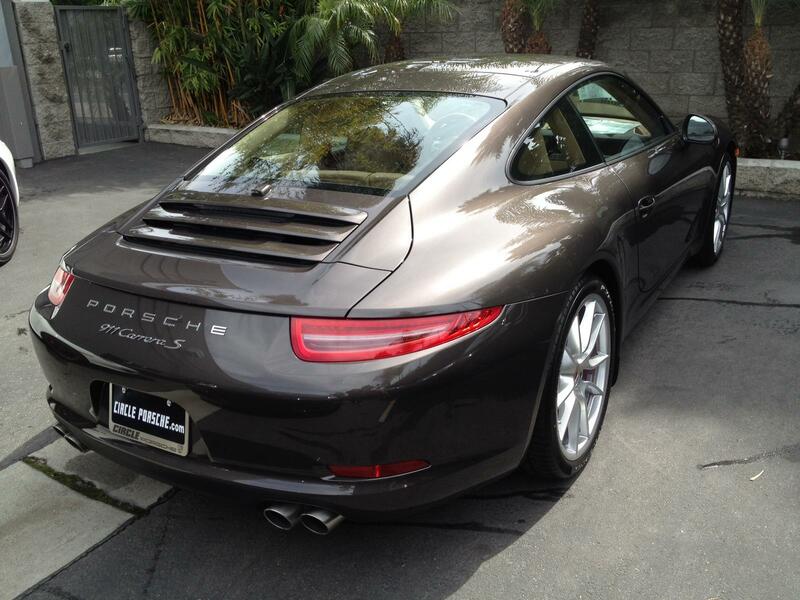 I can’t say that I’ve ever liked a beige or coppery brown car before. 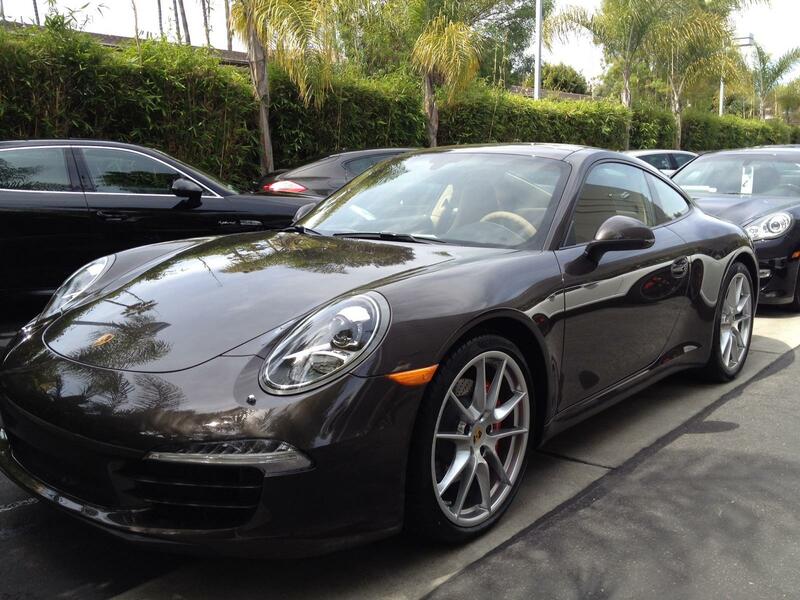 Porsche makes an anthracite brown which can be very attractive in the right lighting. I finally remembered to Google this. I agree. Nice color! LOL! You are never agreeable are you? Normally I don't care much about cars but the 1957 Chevy was beautiful. My parents had a 1957 Chevy station wagon in "coral"--much like that color but lighter. Living in the New England climate and with hills to climb, I have a 2004 Subaru Outback. It's a little bit too big but it's good on the ice and snow and the seats are extremely comfortable. Color is a pretty metallic blue. I've always said I want a car that's a color. Not black. Not white. A color.